Chris Brady is an Irish Singer/Songwriter. He has been applying his trade for many years, a well travelled performer having …gigged in Cyprus, the UK and many venues around Ireland, showcasing his original material. 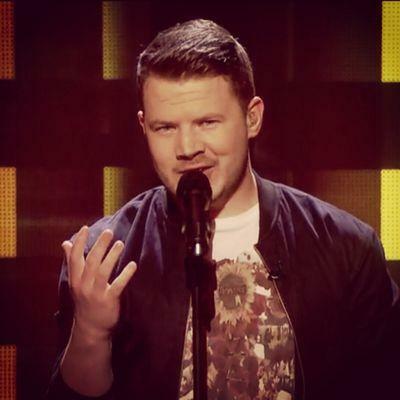 After the success of his debut EP titled “I’ll Be Here” in 2013 Chris is back in studio recording his debut album due for release later on in 2016 , Chris’s most recent success came on the hit show ‘The Voice of Ireland’ 2015 where he made it through thousands of contestants to reach the live shows . He is now planning many more gigs to showcase his original material having being writing from the age of 12, a Singer/Songwriter very much on the up. They say Ireland is a land of saints and scholars. Well it’s fast becoming a nation of singers and songwriters. Another worthy contender in the singer/songwriter musical emporium is Chris Brady with his latest offering called ‘Guarantee’. The immediate traits I heard from this song are radio-friendly, live crowd pleaser and steady vocal performance. This is a contemporary and fresh acoustic pop/rock effort that’s not over produced and not trying to be anything more than it needs to be. A great balance between vocals and instruments. The acoustic intro arrangement builds at a good pace throughout. The electric input towards the end of the track doesn’t overpower Chris’s and the backing vocalists performances. It’s a very endearing love song, the subject matter is important to him. It’s an honest lyric, very clear, concise and catchy. He’s a unique vocalist, he can hold his own out there among the competition. ‘Guarantee’ is set for release on Monday August 15th. Attached above are Chris’s online media links that are worth a look and a listen, especially his other track ‘Little Fish’ on his Soundcloud profile.